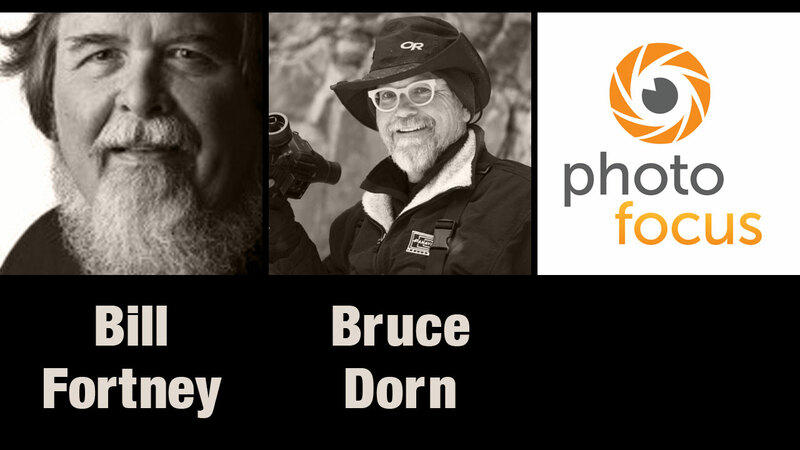 This week’s show features interviews with two photo gurus. Melissa Niu catches up with photographer Bill Fortney about his approach to shooting and life. Then Rich Harrington talks with Bruce Dorn about his photography and cinematography. Bill Fortney is a professional photographer who has now switched to being a self-described “very serious amateur shooter.” He has spent several years working with Nikon in their Professional Services group. He also has worked for many years shooting landscapes, nature, and sports. Bruce Dorn has been a full-time professional image-maker since 1973. He began his career working for Conde Nast the publishers of Architectural Digest, Glamour, Vogue, Womens Wear Daily, and Vanity Fair magazines. He eventually added television commercials to his resume and was inducted into the Directors Guild of America in 1984. His latest project that’s taking him around the world. I really appreciate Melissa’s skills as an interviewer. I thought she did a particularly great job interviewing Bill Fortney. Melissa is very easy to listen to and I love her infectious laugh. As a long-time listener I really appreciate the direction the podcast is taking. Keep up the great work. Thank you information and inspiration! Carl! I am so thankful and appreciative of your comment! Thank you for your kindness and feedback, means a lot! Great interview with Bill Fortney.. Enjoy it very much and hope to hear more like it.